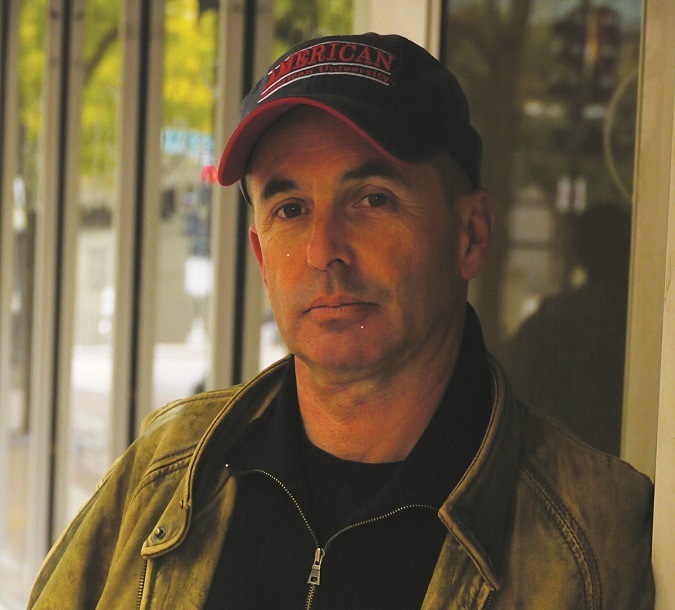 Known to millions of fans, Don Winslow is an author of crime and suspense novels, including a series of five novels featuring private investigator Neal Carey as the protagonist. 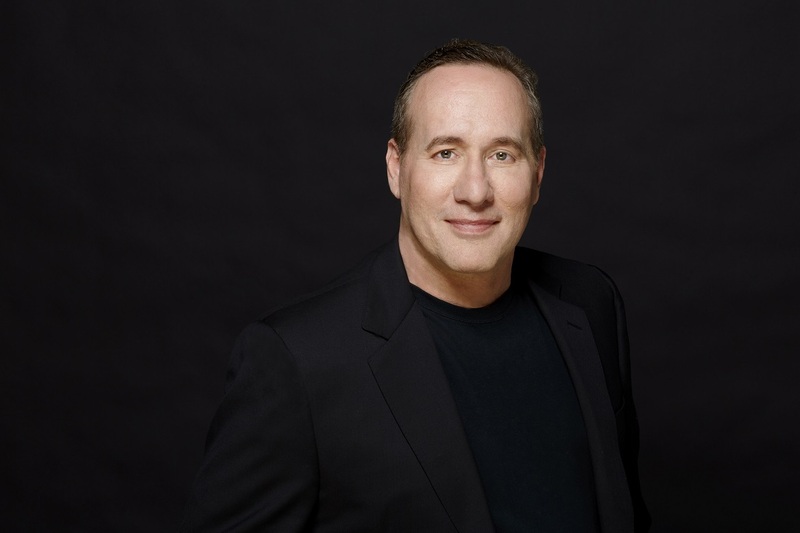 His highly acclaimed standalone novels include Savages, The Winter of Frankie Machin e, The Death and Life of Bobby Z, The Power of the Dog, and The Cartel. 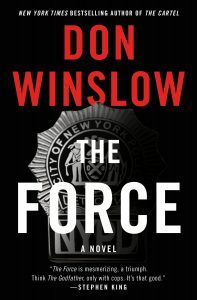 The Force, his latest novel, features Detective Denny Malone, a NYPD sergeant who’s head of Manhattan North’s task force for narcotics, dubbed “Da Force.” For 18 years, Malone has done whatever it takes to serve and protect a city of glitz, glamour, depravity and corruption; a city where no one is clean—including Denny Malone himself. Very few people know that Denny Malone and his partners have stolen millions of dollars in drugs and cash in the wake of the biggest heroin bust in the city’s history. But now Malone is snared in a trap of competing forces, and must thread his way through conflicts that may involve betraying his brothers and partners, the Job, his family, and the woman he loves. 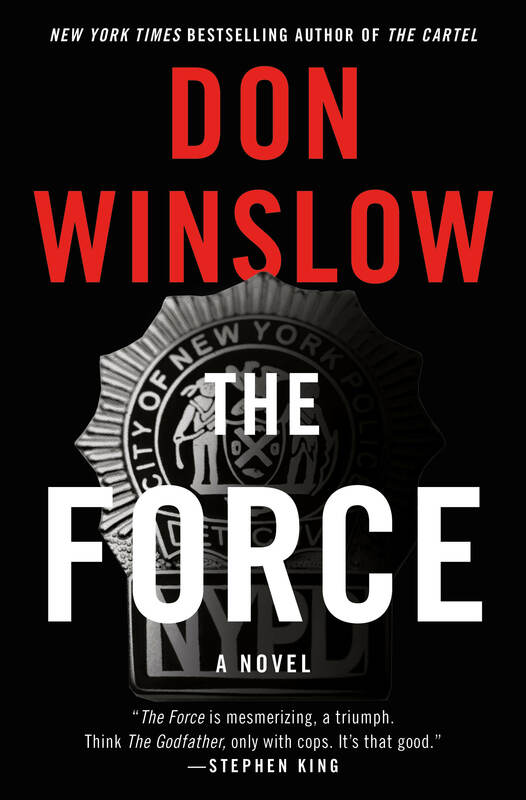 “The Force” is a mesmerizing novel: part police procedural, and crime novel; and part, epic tale. It’s a searing and soul-searching depiction of a tortured NYPD detective. You said, ‘This is the book I’ve wanted to write my whole life.’ Tell us about that. I was born on Staten Island where Denny Malone lives. I was raised in Rhode Island but as a kid I was always running down to New York. I lived and worked there in the late seventies and early eighties. New York has always been a home to me. But it’s more than that: the movie The French Connection is one of the reasons I’m a writer. I remember distinctly going into the theater on Broadway and seeing that film. I was just blown away by it, and by Serpico followed by Prince of the City. Those were important and evocative works for me, both the books and the films. Having lived and worked in New York and having been so influenced by those movies, I always had an ambition to try writing this book. In “The Force,” Denny Malone is a conflicted man: he uses drugs, is separated from his wife, feels guilty about his kids, and lives on the edge. Many of your protagonists can be described as ‘messed up’: Frankie ‘Machine,’ Ben and Chon from “Savages,” and Tim Kearney aka Bobby Z. 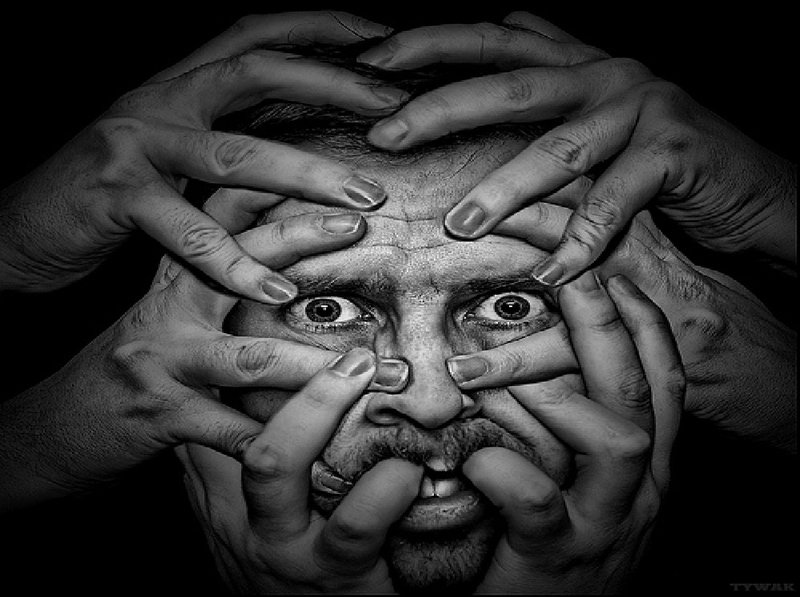 How do you manage to dig so deeply and depict such flawed and troubled people? He was dead right about that. He was talking more about action than about character, but I’ve always taken that concept and applied it to character. I think one of the great advantages we have in our genre of crime fiction is we write about people in extremis. We write about people in extraordinary situations. And, we write about flawed people. Before this, I wrote more about criminals than cops, but it’s the same principle. The flaws in these people make them interesting and compelling. At the end of the day, the flaws make us love or hate them. You and I have been married a long time. You know that you get into a relationship because of someone’s virtues, but after a while you begin to love their flaws. I often feel that way about my characters. I come to love them in spite of and because of their shortcomings. I often think our greatest strengths are also our greatest weaknesses. That’s true of Denny Malone: the same things that drive him to do great things, also drive him to do bad things. You have an extraordinary backstory. You’ve been a movie theater manager, a private investigator, led photographic safaris in Africa, hiking expeditions in China, and directed Shakespeare productions in Oxford, England. How have these experiences informed your writing? I think—and you know this, too—everything we do informs our writing. That’s what makes us writers. Everyday observations and experiences become grist for the mill. More specifically, I grew up on Shakespeare. I was reading and memorizing Shakespeare when I was eight years old. Having the chance to work with great people in England, working with language every day as a director, I had to make the language understandable and physical. I had to bring out the muscularity of the language. It definitely helped inform my writing. My involvement with the theater company was mostly before my first novel was published. I was still struggling to make a living. From seven in the morning until ten at night, I was either rehearsing Shakespeare, teaching it, or talking with other directors. I was constantly immersed in language—with its rhythm, sound and with dialogue, all of which was a tremendous foundation for my writing. The investigative work was not terribly different from what I do now, in the sense that I looked at lots of trial transcripts, read records, and interviewed people. I developed a capacity to search out certain details, looking for things that didn’t quite match-up. I looked for discrepancies between documents and testimony. That background informs my writing. For example, while writing The Cartel and Power of the Dog, I went through thousands of pages of records. Those were skills I learned as an investigator. As a photographic safari guide in Kenya, my job was to notice details. For instance, when trying to find a leopard for people to photograph, I had to keep in mind there would be a certain kind of tree at one time of day, and another place at a different hour. In other words, I was always looking at details. I become a trained observer and would look at underlying reasons for things being the way they are. In crime writing, there are the events, but then there are the underlying reasons for what has happened. Providing that richness is what I hope to give the reader. As do “The Power of the Dog” and “The Cartel,” “The Force” explores, among other things, the drug trade, politics, police, and corruption. What has drawn you so intensely to these issues? I never started out to write about the drug world and these issues. I live near the Mexican border, and back in the late nineties, a massacre occurred just across the border. I wanted to understand why it had happened. I found myself sitting at the keyboard and writing about it. Living on the Mexican border, I eat more tortillas than bread [Laughter] so it’s very real for me. In the course of researching and writing about it, I’ve met people who keep it vivid for me. It’s one thing to talk about the heroin epidemic, it’s another to go to the funerals. As a writer, you want to write about the most interesting and important things happening today. I want to write about race relations, about police shootings, corruption and drugs. In life, you can’t separate things from each other; they’re all interconnected parts of a larger piece. Did growing up in Rhode Island also influence you? Rhode Island had a large Mafia presence, more so when I was growing up than it does now. It was always around, and I saw it. It was always written about in the Providence Journal, and Jimmy Breslin was a big influence on me. I recall being in high school and reading Breslin’s columns and thinking that’s what I want to do. In college, I was a journalism major. I wrote columns basically imitating Breslin’s style [Laughter]. I don’t know if it’s a surprise, but I treat writing like a job. I don’t really believe in inspiration. Inspiration is for amateurs. Let me tell you a cute story about Le Cirque. Years ago, while working as an investigator, I stayed at the hotel where Le Cirque was located. But I wasn’t going to eat at that restaurant, not at those prices. So, I ordered in some Chinese food. When I got my hotel bill, there was a forty-seven-dollar surcharge for them having let the delivery guy come up to my room with the food. So, the next time I stayed there, I ordered the food and asked the delivery guy to meet me in the hotel lobby. I ate the take-out in the lobby, right outside the entrance leading to Le Cirque. I stood there with a brown paper bag and ate the Chinese food. They told me it looked seedy and asked me not to do it. So, I negotiated with them and they dropped the surcharge. But getting back to the writing: to me, it’s a deliberate process. It’s not based on inspiration. The other thing that might surprise our readers is I don’t start writing a book until I know the main characters well. I’ll think about them—sometimes, for years, like in the case of Denny Malone. How did writing “Savages,” the novel, differ from teaming up with Shane Salerno and writing the screenplay for the movie? They’re two different breeds of cats. One is static, the other is kinetic. One has plenty of time for the story to unfold, the other is on a clock. In a movie, you have to make a scene do five or six things simultaneously. That can be difficult for a novelist. I understand that “The Force” has been sold to Fox with James Mangold directing, and Ridley Scott is directing “The Cartel,” which is going to be a film. How have these events impacted your career? For me, it’s been huge. To have directors of that stature is fantastic, and that sunlight reflects on me. The major effect is I now have the economic freedom to write all the time. That’s been true since The Death and Life of Bobby Z was made into a film. I was six published books into my career before I could quit my day job. I always made a living. I wasn’t going to penalize my family for my ambition, but as for how I approach my day? It’s always been the same: Get up and show up. “The Force” reminds me of “Savages,” which I still view as one of the most audacious pieces of contemporary fiction I’ve read. Both books are written in an edgy, lyrical, cinematic, even radical style. Will you talk about your writing style? As in architecture, form follows function. I think story dictates style. I try to write from inside the character’s head. It’s kind of sneaky: it’s third person but it has a first-person point of view. Does that make any sense? Yes, it does. And it’s written in the present tense, which gives everything a sense of immediacy. Yes, when I began writing in the present tense, the story suddenly had a sense of immediacy it never before had. It was not like I was looking down at a table and describing what was there. So, I’ve stayed with writing my novels in the present tense. That way of writing lets me inhabit a character. It dictates the style, the rhythm and the choice of words. This may sound pretentious, but I try to pay attention to the musicality of the writing. It doesn’t sound pretentious at all. There is a music to the words. Yes, there is. I go back to Shakespeare with that concept. You have to stage it, you have to put it on, you have to hear it. Sometimes when I was writing some of the chapters in The Force, I would listen to the hip-hop music referred to in the chapter, and pump it up to the point where it was painful. I’d write while the energy and edge and anger of the music was pounding in my head. In other scenes, I’d listen to the jazz referred to in that chapter I was writing. I think readers love being there in the midst of the action. That’s particularly true in the crime genre. There’s a powerful link between film and novels, especially in noir fiction. What advice would you give to aspiring writers today? I’d simply say: Write. Like most things in life, it’s a verb before it’s a noun. The second thing I’d urge is: Don’t write anything unless you have to. I would say you shouldn’t write unless you feel an inner compulsion to do so. And then, don’t listen to most people. The third bit of advice is simple: just read. Read good books. I just finished War and Peace for the fifth time in my life. I wanted to see how a great writer handles a multi-generational story. So, one has to read good things. Another pointer: Don’t pay attention to so-called peer-reviews. It’s too easy to get nibbled to death by ducks. [Laughter]. I’d say one other thing: there’s a difference between a writer and an author. An author is published. I would say to any writer, if you sit down and write something and finish it and wrestle with it, you’re a writer. And don’t let anybody ever tell you you’re not a writer. And you’ll have my respect as a writer. Welcome to the brotherhood and sisterhood. 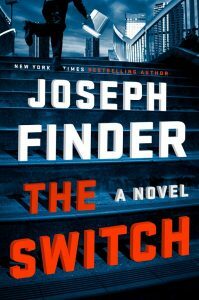 Other than writing about crime, what do writers like Michael Connelly, Lee Child, John Sandford, David Morrell, Laura Lippman, Reed Farrel Coleman, Patricia Cornwell, and so many others have in common? I think these writers and so many others like them share something important: a great sense of humanity. I think they know people and love to explore what humanity really means in terms of language, story, and in terms of place. Tenacity. It’s taught me tenacity [More laughter]. It’s a marathon. It’s like I’m at mile twenty-two and think, I’ll never make it. And you feel the same way the next time, but now you have the experience and can tell yourself you got through it last time and you’ll get through it again. And it will come out pretty well. What’s coming next from Don Winslow? I’ll probably write another book. [Laughter]. Congratulations on writing “The Force,” a brilliant novel, rich in language, conflict, setting, and character. It resonates deeply with realism, honesty, and sheer magnetism. Fans of “The Godfather,” “Mystic River,” “The Wire,” and “The Departed” will absolutely love this book. 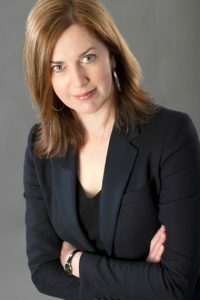 Karen Dionne is a member of the International Thriller Writers, where she has served on the board of directors. She has been honored by the Michigan Humanities Council as a Humanities Scholar. The Marsh King’s Daughter features Helena Pelletier who has a loving husband and two young daughters. The family lives on Michigan’s Upper Peninsula. Helena has a dark secret: she’s the product of an abduction. Her mother was abducted as a teenager, and Helen is a result of that event. She and her mother lived for the first twelve years of Helena’s life in the company of the kidnapper—Helena’s father—until he was captured and sent to prison. When a prison inmate kills two guards and escapes from prison, Helena’s past threatens to return, and only she possesses the skills to hunt her father down—ones her father taught her. The very first lines of the novel are compelling. “If I told you my mother’s name, you’d recognize it right away. My mother was famous, though she never wanted to be. Hers wasn’t the kind of fame anyone would wish for. Jaycee Dugard, Amanda Berry, Elizabeth Smart—that kind of thing, though my mother was none of them.” How did the idea for this novel come to you? I woke up in the middle of the night with those sentences fully formed in my head. I wasn’t dreaming about the character, although I was looking for a back story about a character in another novel. I was in that dream state where you can’t get out of bed and write it down, so I repeated it enough times so I’d remember it I in the morning. I wrote a few paragraphs which became the first section of the novel. Once those first few pages were written, by what process did the novel come into being? As I wrote those paragraphs that morning, I almost gave the book an urban setting. I was thinking about the women in Cleveland who were hidden in plain sight. But at the last minute, I changed the setting to a cabin on a ridge, surrounded by swamp in Michigan’s Upper Peninsula. The reason I chose that setting was I wanted to make the book different; and, my husband and I homesteaded in Michigan’s Upper Peninsula in the 1970s with our infant daughter. I know that area very well. In the following days, the character kept talking to me, and I kept writing little snippets in her voice—such as her imagining what it was like for her mother to give birth in the cabin. I finally decided to find a story for her. I went to my childhood book of fairy tales because I always loved fairy tales—the darker, the better. You’ve anticipated my next question which is: the novel takes its title from a Hans Christian Anderson fable. Tell us about that. I also like modern stories that have fairy tales as the bones of the story. I paged through my book of fairy tales, and when I found Hans Christian Anderson’s The Marsh King’s Daughter, it gave me chills. Everything in that fairy tale dovetailed beautifully with the story I was starting to tell. The daughter in the fairy tale is the child of an innocent and a monster—she has a dual nature, which I envisioned for my character. Using one of the main story threads in the fairy tale that resulted in the redemption of that character, I structured my story to determine what would happen with Helena. I named her Helena because in the fairy tale, the character’s name is Helga. Not only did the character of the fairy tale mesh with my story, but the fairy tale was set in a northern Viking marsh. It was astonishing. I knew I was on to something, and it just developed from there. You paint a compelling picture of Helena’s life (and her mother’s) while being held for years by her father. She has a complicated relationship with him. Some would call this a Stockholm Syndrome. Will you talk about that? I don’t consider Helena’s relationship with her father to be a Stockholm Syndrome. I think her relationship with her father is a lot more complicated than that. In many ways, it’s the same as any child’s relationship with a parent. When we’re small, we don’t judge our parents as good, bad, moral, or evil. We love them because they’re our parents. I’ve always been fascinated by people who survived a far less than perfect childhood and made something good out of themselves. I see Helena as an extreme example of this. Her situation was very stark—there was no one other than her mother and father. At the beginning, she loves him unconditionally, but he’s manipulating her. But her attitude toward him changes over time. I won’t say anymore because I don’t want to spoil the book for readers. In some ways, The Marsh King’s Daughter and its descriptions of the wilderness remind me of Jack London’s writing. Tell us about that. I lived in Michigan’s Upper Peninsula for thirty years. Like Helena, I love wild places. I feel very much at ease with nature. I wanted to convey my love of the wilderness to readers. I really feel the book is partly my love letter to the Upper Peninsula. 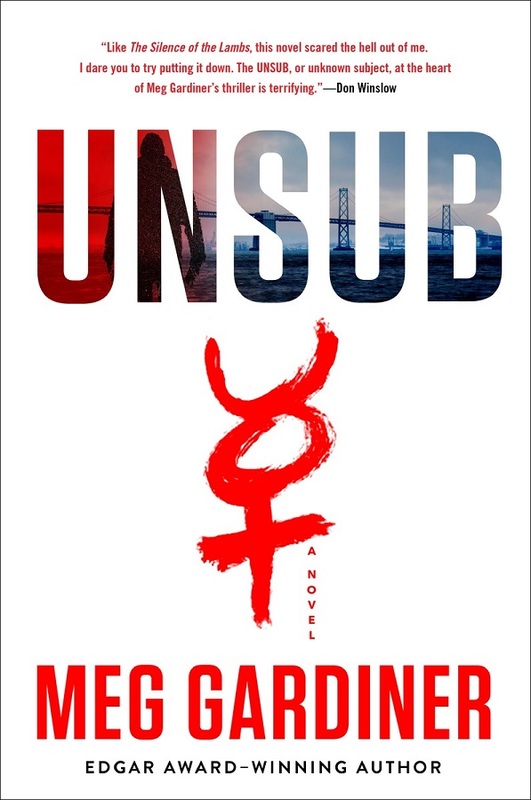 The novel is replete with psychological suspense. Did you intend it to be a suspense story? When I started writing the novel, I didn’t know what I would write. As I said, the character came to me and I started writing down her story. I wasn’t sure if it would be a thriller or literary fiction. I think it helped to enhance the book because I didn’t slot it into any particular mold. I was just writing Helena’s story in the most compelling way I could. And it turns out that there’s a strong psychological component to the book. Your prose is quite lyrical and yet, crisp. Who are your literary influences? I enjoy reading books that have won Pulitzer Prizes, National Book Awards, and Booker Prizes. I want my prose to be of good quality. I try to reach up. But I also admire the writing of Lee Child in his Jack Reacher series. It’s very spare. He told me he deliberately writes at a fourth-grade level because he wants to reach as wide an audience as possible. I admire the way he can write a simple sentence and include just one descriptor or one adjective or adverb and it’s perfect for hitting that note. So, I like making my prose a combination of the two—elevated but very accessible. I write all day long. I start at about five a.m. My best work is done in the early morning. I hit a lull in the mid-afternoon and write again in the evenings. If you could have dinner with any five people, real or fictional, living or dead, who would they be? They would be the kind of people who’ve accomplished something elevated or who have taken a stand in life. Martin Luther King comes to mind. So do Gandhi and Jesus. I’d add Bill Gates because of his philanthropy and also, Jimmy Carter. 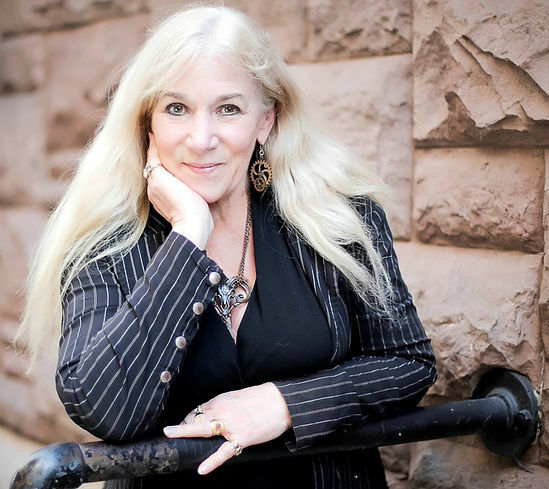 What’s coming next from Karen Dionne? I’m writing another standalone novel that’s also set in the Upper Peninsula. It’s psychological suspense and will also have a fairy tale element. Congratulations on penning The Marsh King’s Daughter, a superbly written and mesmerizing novel that’s been praised by the likes of David Morrell, Lee Child, Megan Abbot, Karin Slaughter, and many others. 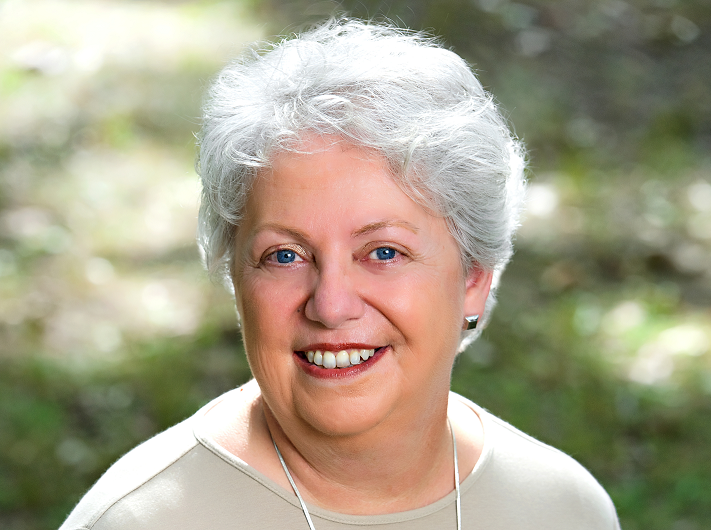 Heather Graham is an internationally renowned author of more than 150 novels and novellas, published in 25 languages, with o ver 75 million copies in print. She has been honored with nearly every award available to contemporary writers, including the Romance Writers of America’s Lifetime Achievement Award, and the Thriller Writers’ Silver Bullet. She is an active member of International Thriller Writers and Mystery Writers of America. Her latest novel, Dying Breath, features Vickie Preston, who as a teen-ager, survived an attack by a serial killer. Now, Boston is being terrorized by a serial killer who kidnaps women and buries them alive. He leaves a glimmer of hope by contacting the police and sending them a clue about the victims’ locations. As a historian, Vickie has the knowledge to help uncover the graves the killer, known as the Undertaker, is choosing. 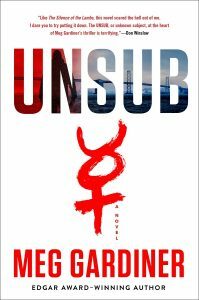 Special Agent Griffin Price, a member of the FBI’s Krewe of Hunters, the bureau’s unit for paranormal investigators, is assigned to the case. As law enforcement closes in on the Undertaker, Vickie’s every breath could be her last. 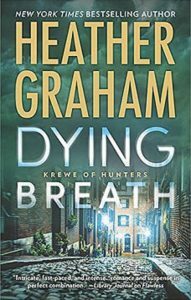 Dying Breath is a Krewe of Hunters novel. How did you arrive at a conceptualization of this series? I conceptualized this group of paranormal investigators as being people with the ability to communicate on some level with the dead. The man leading the group is Jackson Crow, who was introduced in the first book of the series, Phantom Evil. Jackson is an extremely brilliant, very wealthy man who lost his son, and who realized that although his child was dead, a line of communication remained open to him. He went to the FBI and convinced them to start this special unit, dubbed the Krewe of Hunters, and Crow was made its field director. For those who may not be familiar with the series, tell our readers what the Krew of Hunters is all about. The Krew of Hunters is something of a renegade unit of people. They have the capacity to see the dead. They’ve discovered that ghosts can often lead them to the right places when it comes to solving crimes. I’m a huge history buff, so I get to tap into history when I create my ghosts, since many of them lived long ago. They have knowledge of things that happened in earlier times and often work with the krewe to solve murders. Speaking of history, Dying Breath connects the past and present. Is the past ever truly dead? I like to hope not. [Laughter]. We Americans have a terrible tendency to tear down history instead of acknowledging the bad things that happened in our country. We need to remember everything that has happened—the good and the bad—and not repeat our misdeeds. In Dying Breath, the history of Massachusetts plays an important role in the story. The history of our founding fathers in Massachusetts is astounding—we had a group of men who brought about a new age of enlightenment. I agree the past is never really dead. It becomes part of us and influences us—individually and collectively—in more ways than we realize. You’ve written more than one-hundred-fifty novels and novellas as Heather Graham, as Heather Graham Pozzessere, and as Shannon Drake. Why use different names? I was writing in different genres—for instance, I wrote contemporary thrillers for one publisher, and historical thrillers for another. Writing them all under the same name could be a problem because I didn’t want someone buying a historical thriller who really wanted to read a contemporary thriller, or a horror or a paranormal novel. Using a pseudonym was a wise thing to do so readers preferring one genre over another wouldn’t be disappointed. How did the name Shannon Drake come about? I went to the University of South Florida and majored in theater. I then spent several years performing in dinner theater. I sang back-up for the Rhodes Brothers, who made a number of recordings at that time. I also performed in some theater performances, and bartended as well as worked as a waitress. None of it paid very well. Auditions and dinner theater involved hours and hours away from home, and I wasn’t making enough money to make up for the time I was missing out with my children. That was when I began staying home and writing. After we had our third child, Derrick, it was getting to be overwhelming. My husband said, ‘You always wanted to write a book…’ and he came home with a typewriter that was missing an ‘e.’ Every night, I filled in the ‘e’s on whatever I’d written. I bought a copy of Writer’s Digest and another of Writer’s Market, to which I still subscribe, and started sending things off to publishers because I didn’t know anyone in the field. I had a couple of stories published with horror magazines, and eventually sold the first book to Dell. I then realized my strength was writing novels with murder, mystery and mayhem. I learned if I was going to survive as a writer, I had to produce a lot of books. I learned to simply sit down and write. And write some more. The notion of having a deadline keeps the fires burning. I must say that now, I can’t imagine not writing. It’s what I absolutely adore doing. If I won the Lottery, would I stop writing? No. Were there early influences in your life that sparked your interest in writing? My father and mother came from Scotland and Ireland respectively. They left very tough circumstances and arrived in the U.S. My parents read everything. My mother loved Gothic novels and mysteries of all kinds; my father loved reading anything that had to do with water and the navy. They were both huge fans of Edgar Allen Poe. As a child, I was a voracious reader. I don’t ever remember not having a book in my hands. When I began writing, the popular industry notion of something being strictly one genre surprised me. That concept has changed over time, and now many popular books straddle various genres. You’re immensely prolific and write in many genres. Do you have to switch your frame of mind to write a suspense novel after a Gothic tale or a paranormal, or vampire story? I really don’t switch gears to enter into a different genre. It’s just a matter of thinking about whatever it is I’m writing. 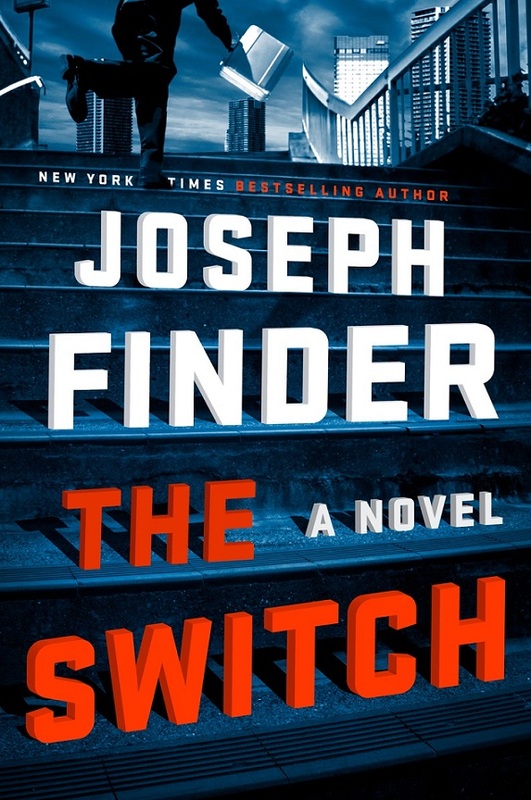 For me, it’s similar to this: if I’m reading a Jack Reacher novel, I expect a lot of excitement and action; if I pick up a Lisa Scottoline book, I expect a courtroom drama. I have no trouble going from one genre to the other. I find myself simply thinking in whatever direction I’m writing. Maybe it’s the way I grew up—reading everything—and now, I just like writing everything. I love reading everything, too. If I have nothing to read, I’ll read the cereal box. You’ve been a performer and a writer. How has each of these been gratifying? I’m the luckiest person in the world to be able to do something I love so much for a living. In itself, that’s been gratifying. People have been wonderful to me. I’ve been on a USO tour with other writers and have gotten to experience so many things that have been a pleasure to do. As for the performance part of my career, we still have a little dinner theater skit every year at the Romantic Times convention, and I’m still a member of the Slush Pile Band. [Laughter]. We chose the name ‘Slush Pile’ because we were all lucky enough to get pulled out of that place. With over one-hundred-fifty books out there, procrastination must be a foreign concept for you. It is, because writing is how I make my living. It’s what I do. I’m always busy, even though the kids are older—I now have grandchildren—and I belong to all these different writing groups: horror writers, mystery writers, thriller writers and romance writers’ groups. So, I just keep going. I don’t think I have a typical day, and never did. I had five children in the house, and I learned to write anywhere at any time—in a car, on a train, anywhere. I grew accustomed to a lot of commotion around me so I can work anywhere. If you could host a dinner with any five people, real or fictional, living or dead, from any walk of life, who would they be? I only get five? [Laughter]. Historically, I would love to have Abraham Lincoln and Jefferson Davis over for dinner. Can you imagine their conversation? I would love to invite Edgar Allen Poe, who’s my ghost in the third book of the Krewe of Hunters. I’d invite Charles Dickens because A Tale of Two Cities is one of my favorite books. I’d also love to have Michael Shaara who wrote The Killer Angels, which is more about the relationships between people than about the Civil War. If I could have one more person it would be Vincent Price. I love him. 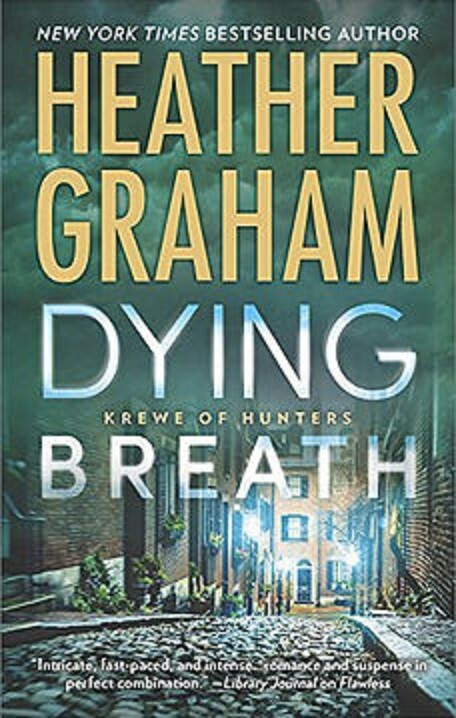 Congratulations on penning Dying Breath, a great addition to the Krewe of Hunters series, a heart-stopping story with elements of the paranormal in a supremely suspenseful read.